Did you know that there are 112.5 billion business emails sent/received daily? It's becoming increasingly harder to not only make it into someone's inbox, but get them to engage in emails. While you may hear people saying that email marketing is a thing of the past, that isn't quite true. Email marketing as it was done several years ago is becoming obsolete, but email marketing that is focused on contributing to a more personalized communication with an individual person is what can dramatically influence your email efforts. In this article, we'll share with you how the Seventh Sense and HubSpot integration allows you to use send-time optimization to discover the best time to connect with each of your individual subscribers. 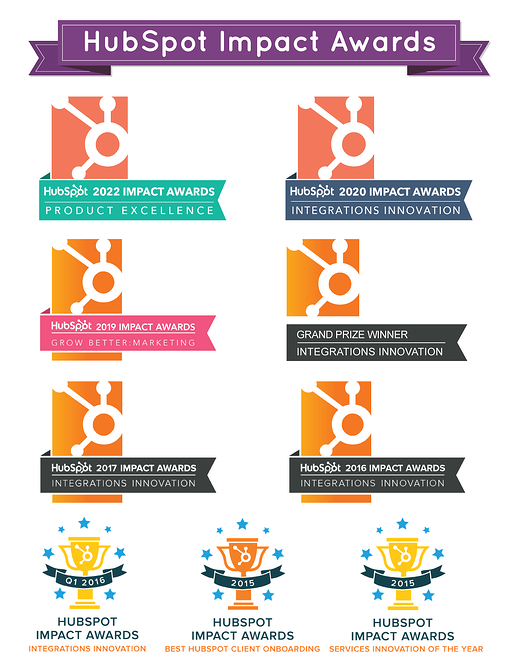 The following is one of our client stories about how they leveraged Seventh Sense and HubSpot to help deliver emails at their subscribers' ideal times, which increased their email engagement rates, new contacts from email marketing, and re-engaged dormant contacts. Natera® is a leading genetic testing company that develops and commercializes non-invasive methods for analyzing DNA. Learn more about Natera. What Was Natera Looking to Optimize? Global Marketing: Natera was seeking a unique solution to connect with their growing global audience. The traditional "batch" email is not very effective in this case because it doesn't take into account data that you have on an individual on when they typically engage with email. For example, while sending one batch email at 12PM to a subscriber in the U.S. might seem like an optimal time, that same email could be sent to a subscriber in Asia during the middle of the night. Personalized Communications: But even segmenting by time zone is just not enough anymore. Marketing has changed. It is no longer about the "one to many" communications, but has moved to connecting on a "one to one" basis with your growing list of subscribers. Think about when you typically engage with an email and when your colleague engages with an email. You may be an early riser that reads emails at 5AM, while your colleague may engage with emails at 11PM. Sending that same email to these two individuals at a time that we know they will be most engaged helps to ensure they not only open the email, but click and engage. Remain Top-of-Mind: While they already had an engaged audience, Natera was looking for an email solution that allowed them to continue to remain top-of-mind. Continuing to innovate with email marketing, a relatively traditional method of marketing, is very important to Natera as their company continues to grow and have more personalized and advanced marketing campaigns. For this reason, Natera, in collaboration with Prism Global Marketing Solutions, decided to utilize the Seventh Sense and HubSpot integration to help with these areas of opportunity. How Does Seventh Sense Work? The system analyzes historical email engagement data, builds a profile on each subscriber and then empowers marketers to automatically send campaigns at personally optimized times. The algorithms are heavily weighted toward sending at a time when each subscriber is most likely to click on a call-to-action within an email. 1. Send Time Personalization: Seventh Sense personalizes the send time for contacts with historical data. For contacts with a history of receiving, opening and engaging in email, the system analyzes that data and picks the most optimal delivery time for each individual within a user defined time window. 2. Send Time Randomization: For new contacts or contacts who have never engaged, the system selects a random time to send to each contact, between 8:00AM and 8:00PM EST. The goal is to discover that ideal send time for contacts who have never engaged in the past, the time they’ve specifically set aside to go through their inboxes. 3. Control: Seventh Sense uses the top engagement time for an account to send email to the control group. This is like a traditional batch campaign performed at one specific time, but has the advantage that it is using the account’s peak engagement time versus relying on the marketer to randomly select a time. Utilizing the power of analytics through Seventh Sense and HubSpot, Natera has achieved the following email marketing results over the past six months. What does this mean? A higher percentage of individuals opened and clicked the emails sent through Seventh Sense compared to the control group (batch emails). What does this mean? A higher percentage of people opened and clicked the emails sent using the Send Time Personalization method compared to the control group (batch emails). You can see with the click rate that this dramatically influenced the engagement of individuals once they opened the email. Not only were they opening the email, but they were taking a specified action within the email. What does this mean? A significantly higher percentage of people opened and clicked the emails sent using the Send Time Randomization method compared to the control group. By increasing the open rate and click rate, Natera was able to increase the click through rate to the website and increase overall site engagement. In addition, they were able to increase their number of net new contacts from email marketing efforts by 85% in the initial 6 months with Seventh Sense. The following chart shows the visits and visit-to-contact rate from email marketing over the first 6 months. In addition to increasing subscriber engagement, Natera has also been able to re-engage with contacts who had once been active, however went dormant. By personalizing email send times, Natera has re-engaged approximately 15% of their total contacts. These contacts, prior to re-engaging, had not been active in email communication since 2015. With Natera’s 18% avg. engagement increase per email campaign, they’re now experiencing results that would have taken 14 months to produce in a 12 month period with this simple change. So ask yourself, how much do you invest per month in email marketing and would you like to accelerate your buyer’s journey? As you can see, utilizing send time personalization helps you reach your audience when they are in their inbox. By utilizing the data, you are able to stop guessing and start tailoring your communications. By sending at a time when someone wants to engage, you will be able to start to see your email open rate and click rates increase by changing your communication style to reflect your email contact's communication style. 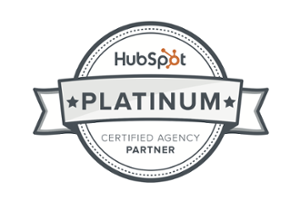 If you haven't tried the Seventh Sense and HubSpot integration, we invite you to schedule a complimentary email marketing assessment . Natera® is a leading genetic testing company that develops and commercializes non-invasive methods for analyzing DNA. The mission of the company is to transform the diagnosis and management of genetic disease. Natera currently offers a host of proprietary genetic testing services primarily to OB/GYN physicians and fertility centers. Tests include the Spectrum® pre-implantation genetic test for embryo selection during IVF; the Anora® miscarriage test to understand the genetic causes of a pregnancy loss; the Horizon™ carrier screen to detect inherited mutations; and the Panorama® non-invasive prenatal test (NIPT) to screen for common chromosomal anomalies in a fetus as early as nine weeks of gestation. Natera is also applying its unique technologies to develop non-invasive screening and diagnostic tools for earlier detection and improved treatment of cancer. 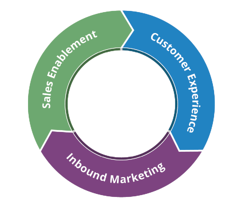 Visualize the impact of inbound marketing and sales on your organization's bottom line. You can also download the results immediately to share with your team.